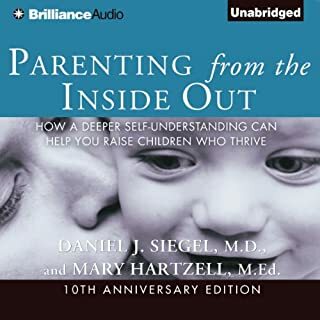 We all know that perfect parenting does not exist, yet we still struggle with the social expectations that teach us that being imperfect is synonymous with being inadequate. These messages are powerful and we end up spending precious time and energy managing perception and the carefully edited versions of the families we show to the world. 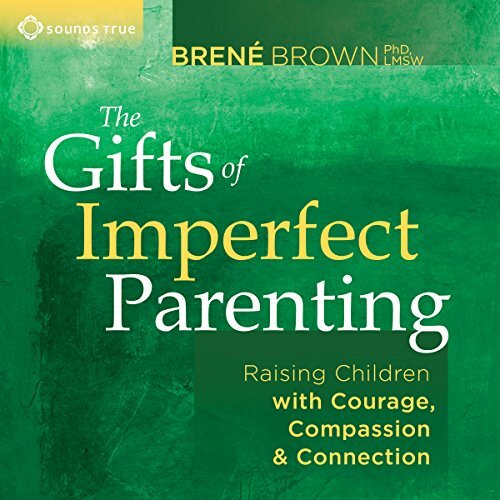 On The Gifts of Imperfect Parenting, Dr. Brené Brown invites us on a journey to transform the lives of parents and children alike. 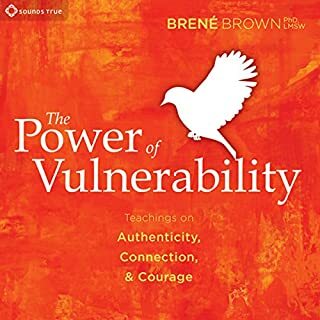 Drawing on her 12 years of research on vulnerability, courage, worthiness, and shame, she presents ten guideposts to creating what she describes as "wholehearted" families where each of us can continually learn and grow as we reach our full potential. 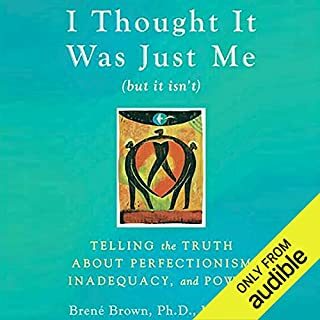 "It's actually our ability to embrace imperfection that will help us teach our children to have the courage to be authentic, the compassion to love themselves and others, and the sense of connection that gives true purpose and meaning to life," states Dr. Brown. The Gifts of Imperfect Parenting is a practical and hopeful program for raising children who know that they are worthy of love, belonging, and joy. I'm very much a story person, so really I appreciated, and resonated with the many real life examples that Brené shared. I'm very sad that the book ended- I finished it in a day! this was probbaly very surprising for me as I'm not a reader- I have little time with 3 kids, homeschooling, and studying a masters degree... So one might imagine that doesn't give me much free time left to sit and read, but a great, captivating audio recording means that I was able to listen while preparing meals & while driving instead of listening to the radio. So clear and articulate. .. Loved it. .. have now downloaded two more of hers. Such compassionate insight, and no unnecessary fluff. Have listened to this several times and always learn something new. Parenting is hard but this makes it a little bit easier to understand. 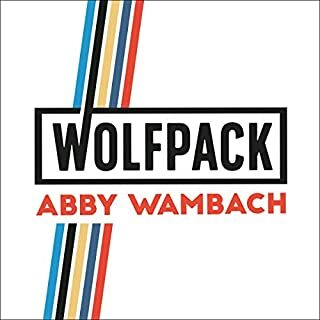 A great audio book. Some great advise for me and my partner as parents with our daughter starting primary school next year. This is a must hear for everyone. 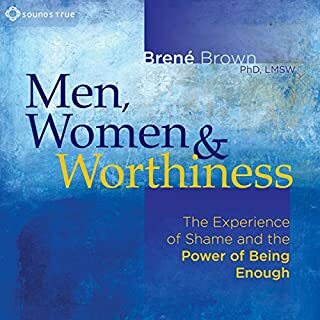 This audiobook is not recorded with audience which I have actually come to love Brené’s live recordings. This was very different more formal. Different. I love Brene Brown. it's a must for all parents ..there is always something small to learn that can make the biggest change to our lives. great and very inspirational! <br />worth listening to. loved it. very useful and worth listening. I listen again and again just to remind myself of important things that you forget. I really enjoyed this and it made so much sense! I listened to it twice and I think I will be going back to it again! 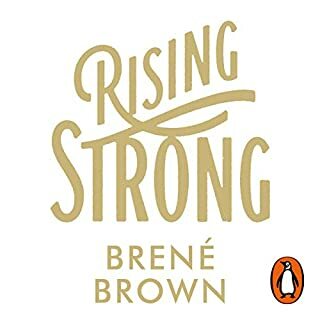 Brene Brown really resonates with me and I enjoy her books very much. 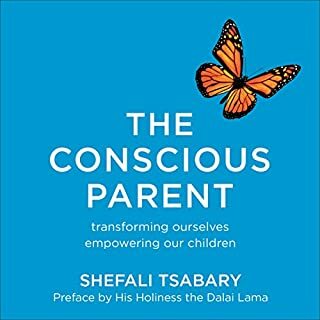 I found some great tips in this I will apply to my parenting but also understood my own upbringing a little more. Made me have more faith in myself as a parent! Brene Brown truly changed my life. I will buy everything she does without regrets. This is not really a book, but more of a spoken word recording. It is good, but you will get so much more out of her audible book called "The Power Of Vulnerability." That is her masterpiece and it will explain the ideas presented in this book in much greater detail. 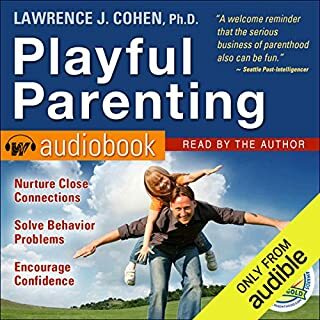 This is more of a refresher and goes in more depth about how the ideas apply to parenting. like I said before this is a spoken word talk and she is an excellent speaker. And when I say excellent I mean maybe the best I've ever heard. She is very engaging and easy to understand. But, it's not just some touchy-feely junk like some reviewers have stated. Her ideas are backed with real research that she conducted herself. Like I said before she changed my life and I now understand what I need to do to make positive changes in relationships and parenting. This book is good, but it's not the best starting point. 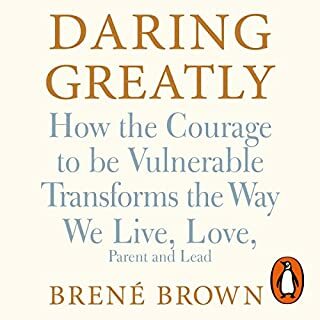 I am a new grandmother and so wish I had heard this teaching by Brene Brown on whole-hearted parenting! But I am sure it is never too late! You will add dimension to your parenting skills! 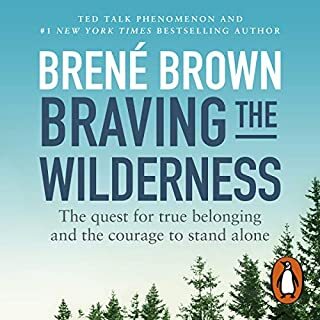 Since Brene Brown took TEDtalks by storm, I've been following her work. I believe this is a "game-changer" for lack of a better term. We can all improve continuously, and Brene's ten guideposts are to the heart and readily accomplished. I changed my communication immediately and I thought I was pretty aware of the top parenting skills. I learned! A must listen... a "hallpass" to have made mistakes and turn relationships around without shame. enjoyed the conversational way it was presented. well worth the listen. have a good day. Would you consider the audio edition of The Gifts of Imperfect Parenting to be better than the print version? I love everything about it. I love how approachable it is, how naturally she speaks, the personal stories she shares that really help to give context to the lessons. It's all just beautiful. 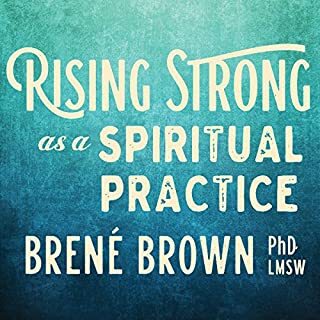 What does Brené Brown bring to the story that you wouldn’t experience if you just read the book? I don't have time to sit down and read with a new baby (10 month old) while trying to work, fit in time for the gym, my creative hobbies, and of course family time. I don't believe I would have liked it as much if somebody else narrated. It's her life. Her stories. She speaks from the heart. What insight do you think you’ll apply from The Gifts of Imperfect Parenting? As much of everything that I can. I intend on referencing it several times over the years. Great information. Must read for all parents. it gives you a sense of direction in parenting. I loved the real life examples used by the author to make a point. Very good narration. Hope there are more on this topic by this author. If you could sum up The Gifts of Imperfect Parenting in three words, what would they be? What was one of the most memorable moments of The Gifts of Imperfect Parenting? 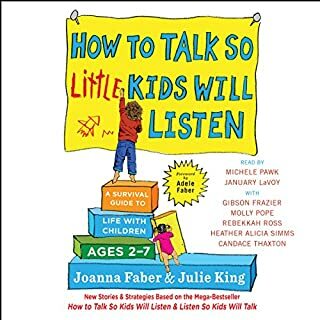 There was a story in this book where Brene Brown talked about how she spoke with her daughter about how her daughter felt like she was an "other" at school, and Brene communicated that she knew how her daughter felt and that she wasn't alone and it was OK to feel that way. I was able to use some of those strategies with my own 5 year old. It was incredible how well it worked! 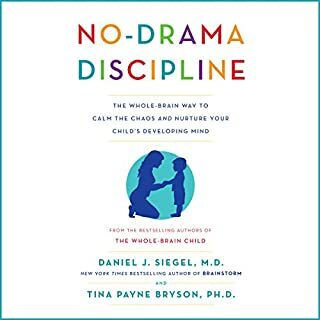 I will continue to use this way of communicating to allow my kids to be OK with expressing their feelings in a comfortable, empathetic, and non-judgmental environment. What about Brené Brown’s performance did you like? Everything. She's one of my all time favorite researchers and I thoroughly enjoy the work that she does. It's just so easy to listen to her. Her tone of voice and the way she tells stories makes you feel like she speaking right to you. How to get your children to finally be OK with expressing their feelings without judgement. 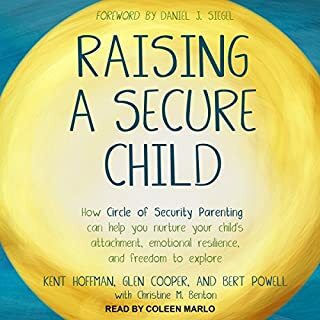 I will read this again and again because it is full of awesome advice and helpful tips on succeeding as a parent! I've been looking for ways to deal with some challenges my family has been having. She gave me insights and tools for those and more. I'm buying and sending this to no less than 5 friends and recommending it to many more!!!! on modeling, not telling your kids how. real tips on parenting, but not How To. Authenticity and openness to modeling for children how to be authentic problem solvers. But taking time to play and set limits? Quite the juggling act. But Bb is a great encourager. Short but great and researched guidance. The Profound highlight for me was the difference between Shame & Guilt. The other “guideposts” were also highly valuable. Plus to be reassured that you cannot raise your children to be better than you are. That you Can and Must work on yourself also whilst raising them. To be as good as you want to raise them. And that that’s OK. Empowering. 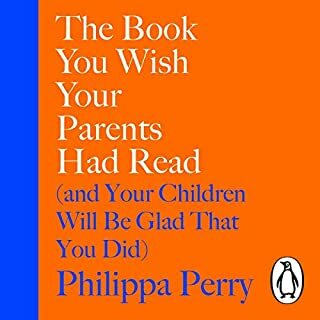 What made the experience of listening to The Gifts of Imperfect Parenting the most enjoyable? I admire the author's work, and find her stories touching and very helpful in every day life. 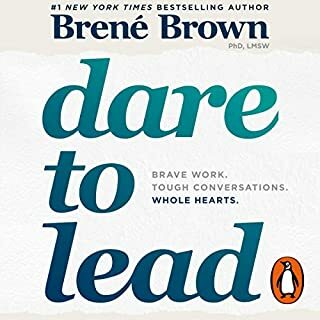 This book has really made me reflect on my life as a parent.Another point is that this book doesn't sound like other audiobooks which are being read, she sounds like she's talking to you, you can hear her laugh and you can feel that she truly believes what she's talking about.Can't wait to read another book from Brene Brown. Her examples of her own life are funny and real. Her voice is so easy to listen to. Hits the nail on the head again! I didn't want it to end. Love BBs reading style, anecdotes, guideposts. Want to implement! powerful points and nice stories. wish there was more stories and anecdotes. and tips. Also wish she would indicate whether or not her research accounted for cultural differences of families. Great little audio book, with helpful anecdotes we can all relate to. Lots of parenting tips. 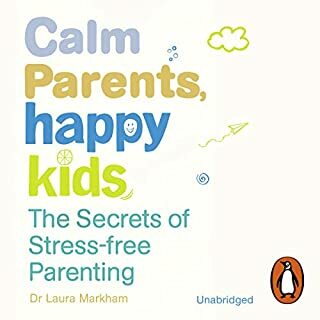 Got to say, this is one of the only books that didn't make me feel like I was trying too late to make myself a better parent for my kids. not only that, it made complete sense to me about how the things we say and in particular, the way we say it, make the difference. 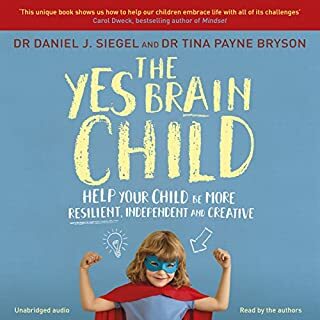 I strongly recommend reading this book if you’re a parent and even if you’re not (or not yet). Brené’s approaches to parenting are really down to earth and positive. A great book. Really resonated with me as a parent feeling like I’ve lost my way for the past few years. I only needed to look at myself to see where I need to alter my language and behaviours so my children can feel the benefit. The shame thing was everything I needed to hear . I will be listening to this again.